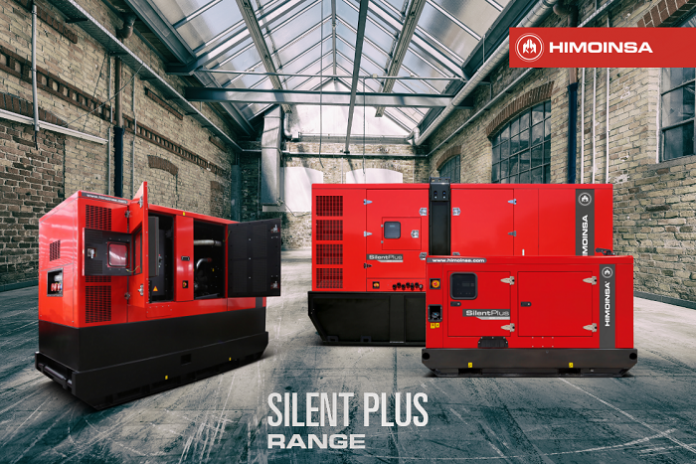 HIMOINSA has developed new models in the Silent Plus range, which offer low noise emissions and long running times for the rental market. The company’s goal is to offer the market a wide range of generator sets with low noise emissions, powered by Yanmar, FPT and Scania engines, and with a power range of 20 to 550 Kva. The models that have already been developed are now joined by HRFW S+ and HRFW S+ generator sets (with FPT and Scania engines) which offer low noise levels, making them some of the most competitive models that operates for urban areas, sporting, music and cultural events, where noise restrictions require generators to be increasingly quiet. Discover the whole range and all the technical specifications for each model. This low levels of noise emissions have been achieved thanks to an improved and more optimized design of the air intakes and outputs. A dual core exhaust system has also been included as standard, not to mention top-quality insulating materials such as high-density, 100mm thick rock wool and silent blocks that have been specifically sized for the engine-alternator assembly and its dynamic characteristics. The new design also contemplates the complete insulation of the control panel, for all models of HRFW S+ and HRSW S+ series. This remains insulated from the rest of the compartment to avoid noise emissions when the door is opened to manipulate the panel. To guarantee the greatest possible running time, high-capacity tanks have been added in certain cases. If we add to this the fact that all the engines have electronic injection control, we can guarantee a running time of at least 24 hours and in some cases, even as much as 35 hours. That amounts to more than four working days without having to refuel. The Silent Plus range features drainage valves to make it easier to clean the radiator.The generator sets in this range that have an FPT and Scania engines also include low-level coolant sensors for an even more accurate control.